ELL is a Sequoia Foundation project that aims to implement high quality English Language methods in public city schools or independent educational projects for children from low income communities. For children, the contact with a second language results in significant improvements in learning their native language (in this case, Portuguese), as well as expanding students’ cultural horizons. intense training of teachers involved in the project; as part of this process, we promote an exchange between Brazilian and American teachers. In the cities where it has been implemented, more than 2,000 children are currently benefitting from ELL and improving their chances of a better future. 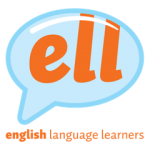 Based on technologies used in American public schools, ELL’s literacy and teaching methods have proven to be highly effective because they capture students’ interest. Unlike traditional methods, our approach attempts to bring children into the universe of the English language through playful elements, such as music, oral language, and literature. In addition to providing a more efficient and long-lasting learning experience, this offers an important expansion of our students’ cultural knowledge. In another successful partnership, we use the expertise of renowned project Piraí Digital to provide technological resources in the various levels of ELL. Technology plays an extremely positive role in the learning process, allowing for a dynamic and agile interaction among students, teachers, and project coordinators. A great example of that is the use of Moodle, an open-source software package used in educational projects. In addition to working as a source of reference for planning classes, Moodle (Visit our Moodle system website) allows online interaction between teachers and students, while facilitating communication between teachers and project coordinators, working as a support system for professionals at the locations where ELL is being used. We also have a tutoring program that parents and students use to do extra class activities, always focusing on the content taught in class. The Sequoia foundation invests in the professional development of teachers involved in its projects because we believe that one of the pillars for the success of educational projects is recognizing that the teacher is a fundamental agent in the teaching and learning processes. This is why ELL carries out constant training for teachers, promoting an exchange of experiences among Brazilian teachers. Brazilian teachers are also given the opportunity to renew their practices through the use of new technological resources. Through our partnership with Casa Thomas Jefferson teachers in different cities receive professional development using video conference tools to learn and exchange ideas with the professionals at Casa Thomas Jefferson. concrete opportunities of a better future for children.